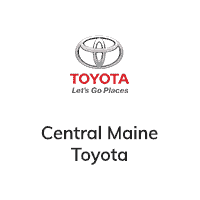 Toyota Certified, Dependable, GREAT MILES 16,913! 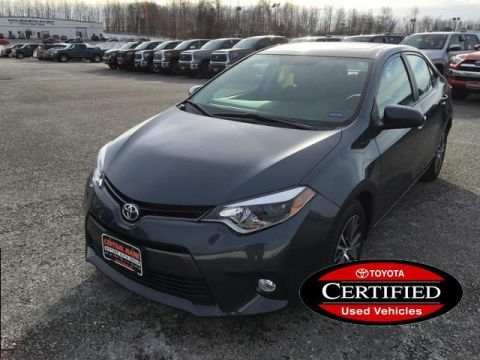 PRICED TO MOVE $1,300 below NADA Retail!, EPA 36 MPG Hwy/28 MPG City! LE trim. CD Player, Lane Keeping Assist, Bluetooth, Back-Up Camera, iPod/MP3 Input. CLICK NOW! 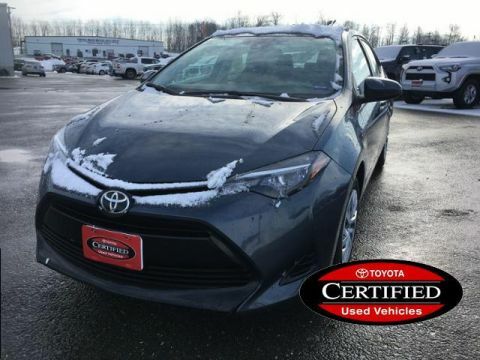 This Corolla is priced $1,300 below NADA Retail. 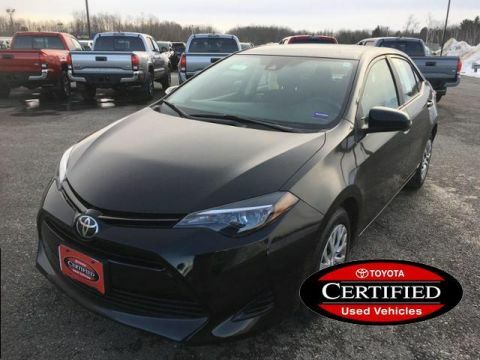 Back-Up Camera, iPod/MP3 Input, Bluetooth, CD Player, Lane Keeping Assist MP3 Player, Remote Trunk Release, Keyless Entry, Child Safety Locks, Steering Wheel Controls. 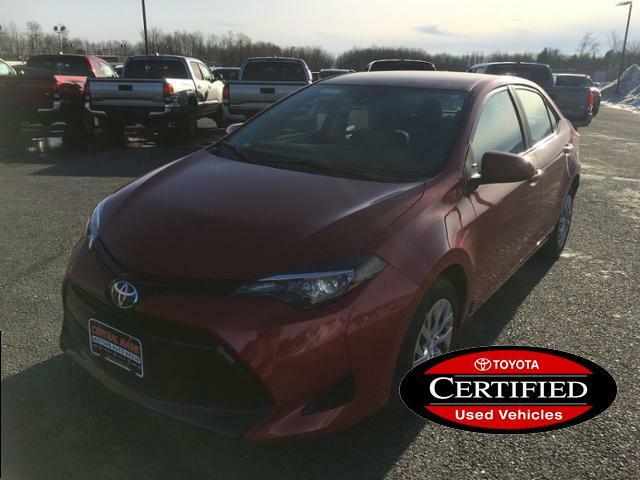 Toyota LE with Barcelona Red Metallic exterior and Black interior features a 4 Cylinder Engine with 132 HP at 6000 RPM*. Autocheck 1-Owner, Clean Autocheck report! Edmunds.com explains Slipping in and out of the Corolla's cabin is easy, and once you're in, there's ample room to stretch out. There's decent headroom in back and 41.4 inches of legroom, which obliterates everything in the compact segment and embarasses many midsize cars.. Great Gas Mileage: 36 MPG Hwy.